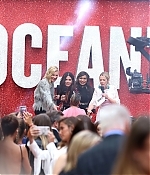 Sandra attended ‘Ocean’s 8’ European Premiere alongsite Rihanna, Sarah Paulson, Cate Blanchett, Helena Bonham Carter & Mindy Kaling on June 13. The event was held at Cineworld Leicester Square in London. Our gallery has been updated with high quality images, enjoy! Hi, guys! First of all, we’re sorry for being behind with updates, we will be better this week. 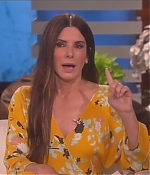 Here’s Sandra’s interview for The Ellen Show that aired two weeks ago. 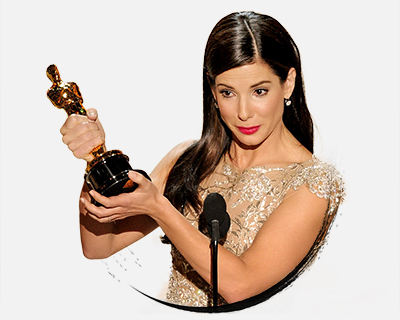 Sandra Bullock explained why she thanks Ellen for her successful career. Plus, she talked about her kids’ different personalities, and weighed in on the Laurel/Yanny controversy and also answered Ellen’s Burning Question. On May 24, Sandra attended the official ‘Ocean’s 8’ press conference, our gallery has been updated with the first HQ images. Enjoy!